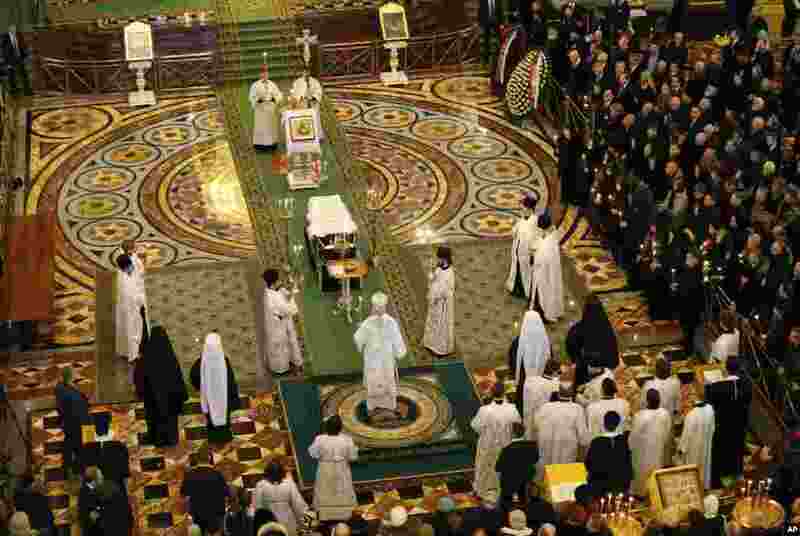 1 Russian Orthodox Church Patriarch Krill, on podium, conducts a religious service for killed Russian ambassador to Turkey, Andrei Karlov inside the Christ the Saviour Cathedral in Moscow. Karlov was fatally shot by a Turkish policeman in a gathering in Ankara. 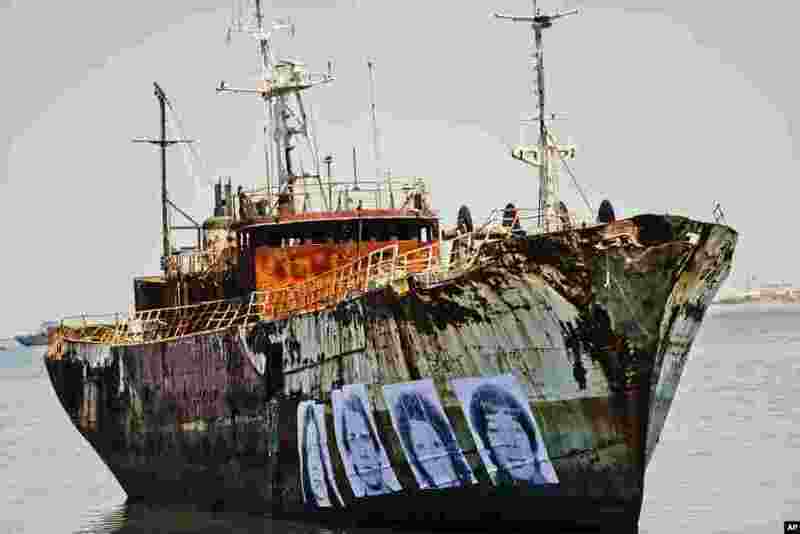 2 Images of Uruguayans disappeared during the 1973-1985 military dictatorship are displayed on the hull of an abandoned ship aground in the bay of Montevideo, Dec. 21, 2016. 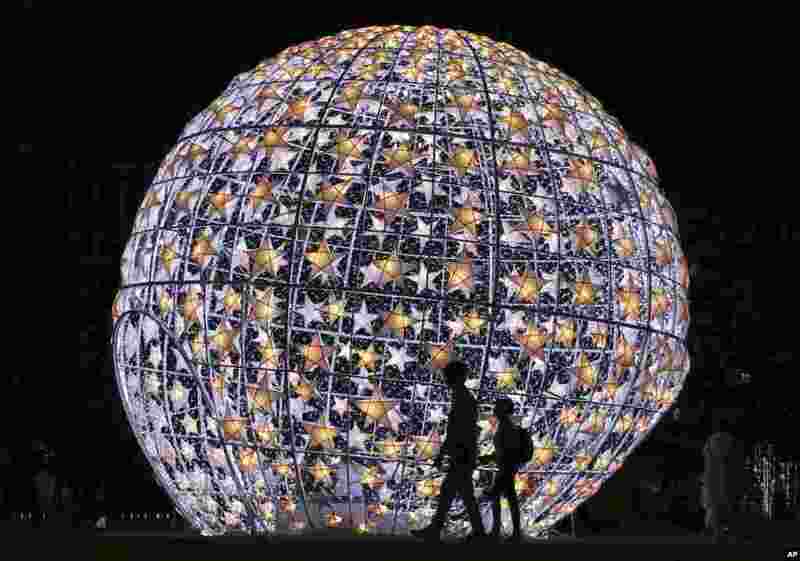 3 Locals walk past a lit Christmas display at a park in Pasay, south of Manila, Philippines. 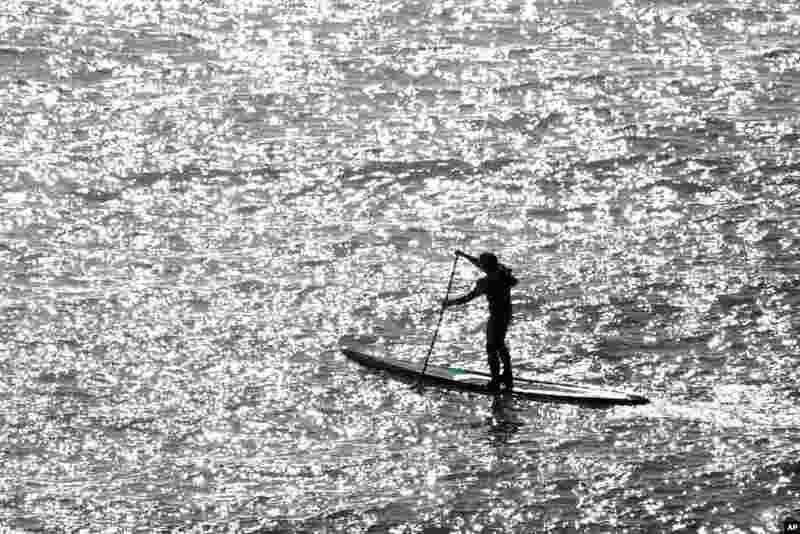 4 A surfers paddles near the Mavericks surf spot off Pillar Point Harbor, Dec. 21, 2016, in Half Moon Bay, California.